Get ready for the hottest artist in country!! That’s right Jason Aldean is on tour once more in 2018, with his all new album “Rearview Town”. Opening the show will be the fantastic Luke Combs and the incredible Lauren Alaina!! It’s a show you truly can’t miss!! 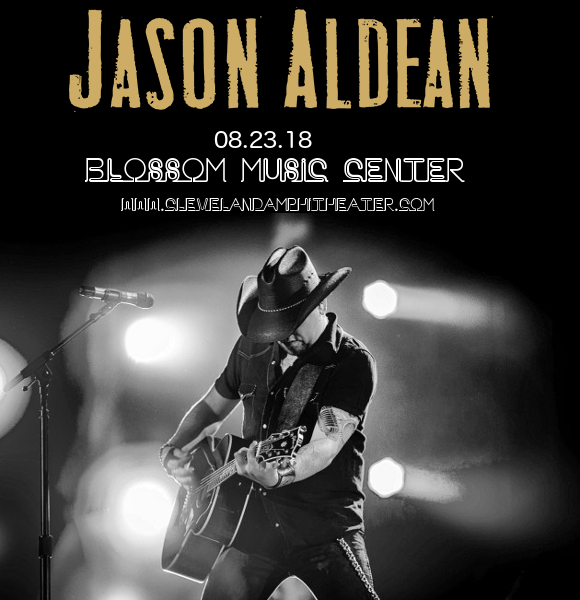 Grab your tickets now and get on down to the Blossom Music Center on Thursday 23rd August 2018! We can’t wait to hear all Jason Aldean’s new sounds live – can you?? No? Then hurry up and get yourself tickets while you still can!